We offer a precisely engineered range of timers that are widely in demand in the global market. These electronic timers are superior in quality and can be customized as per the specifications of our clients. 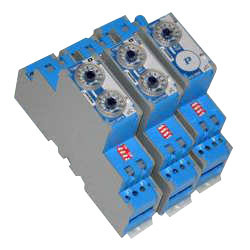 N22-x Series Timers are designed for extreme conditions. N22-x has wide range of models to suit almost any type of Time delay requirements.